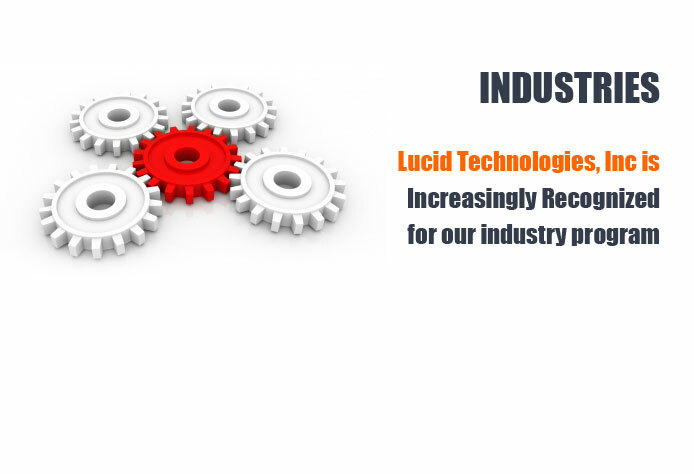 Lucid Technologies, Inc has long and focused practices in all of our core industries, providing clients with a partner that is not only expert in IT, but expert in their industries. Lucid Technologies, Inc is increasingly recognized for our industry program, combining in-depth knowledge and understanding of our client's sectors with our world-class functional expertise. This combination of business knowledge and technology expertise allows us to help our clients adapt as their industries change, and in the process, allows us to evolve the industries in which we operate. Our people are steeped in industry, many having spent years in senior positions with leading companies building macro and micro industry sector. Also serving on the front lines with our clients are several high profile industry luminaries who possess profound knowledge and passion for tackling the pressures facing executives today. Our industry teams have built their reputations with records of integrity through the delivery of quality work that brings value to our clients' organizations. As a result, several of our industry practices are recognized as best in class by leading ranking organizations.